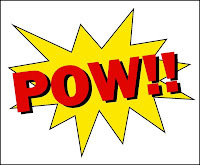 WCCLS Kids: BOOM, CRASH, TICK-TOCK, SPLASH!!!!! But what does the dog say? In my opinion, the coolest words ever are the ones that sound exactly like what they mean. Words like “BAM” and “SQUEAK” and “WOOF” are super-fun to say out loud. 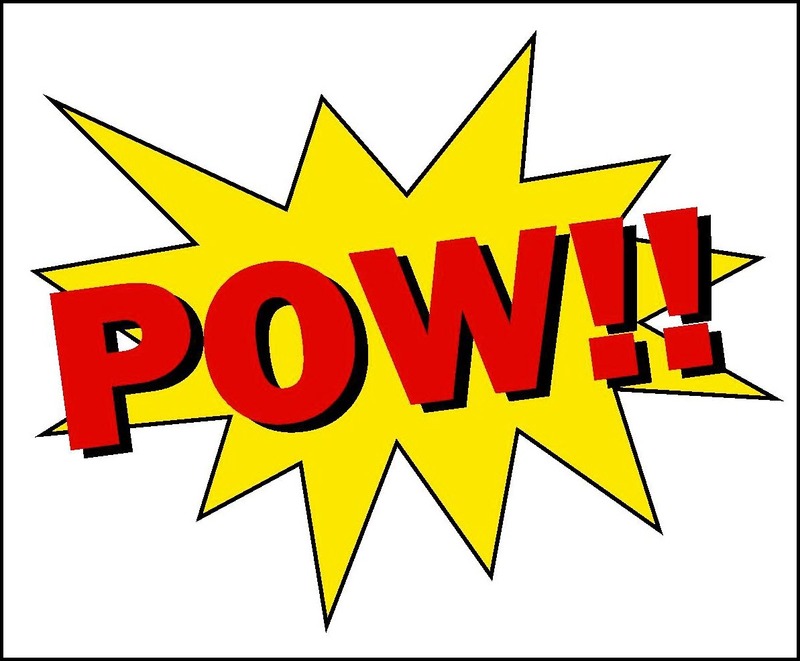 We call words like these onomatopoeias, words that sound exactly like what they mean. Children’s books are packed with of onomatopoeic words. It’s not too surprising, because kids love to hear the funny sounds. Folks who regularly share books with little ones can attest to the fact that if you really ham it up and over-enunciate your pronunciation, you’re sure to draw constant laughter and smiles of delight. 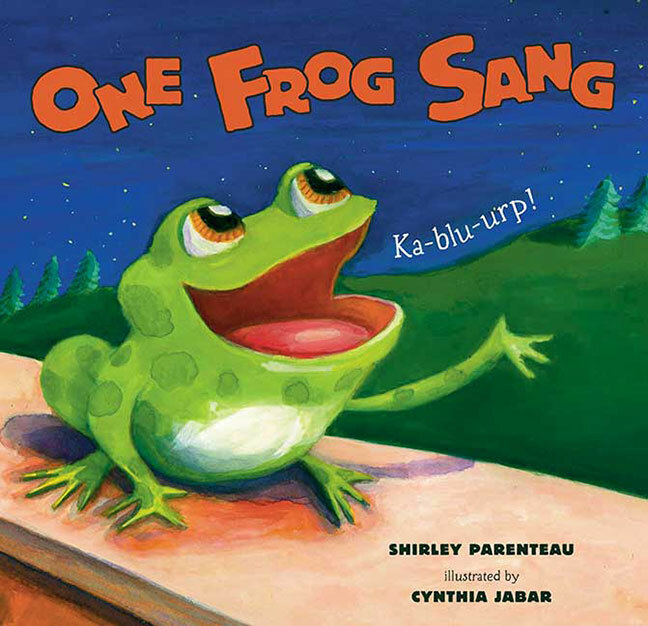 Besides being terribly fun to read aloud, onomatopoeic books do a fantastic job of showing kids exactly how printed language works. Just like the old 1960s Batman TV series, many books with fun sound words emphasize and call special attention to the words by using interesting fonts and bright colors. A child's understanding of how printed language works is called print awareness. When we call attention to the word on the page by pointing or running our finger below the word, we are helping build a solid print awareness foundation. 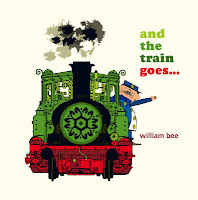 There are all kinds of fun train sounds! "Clickerty-click, clickerty-clack!" 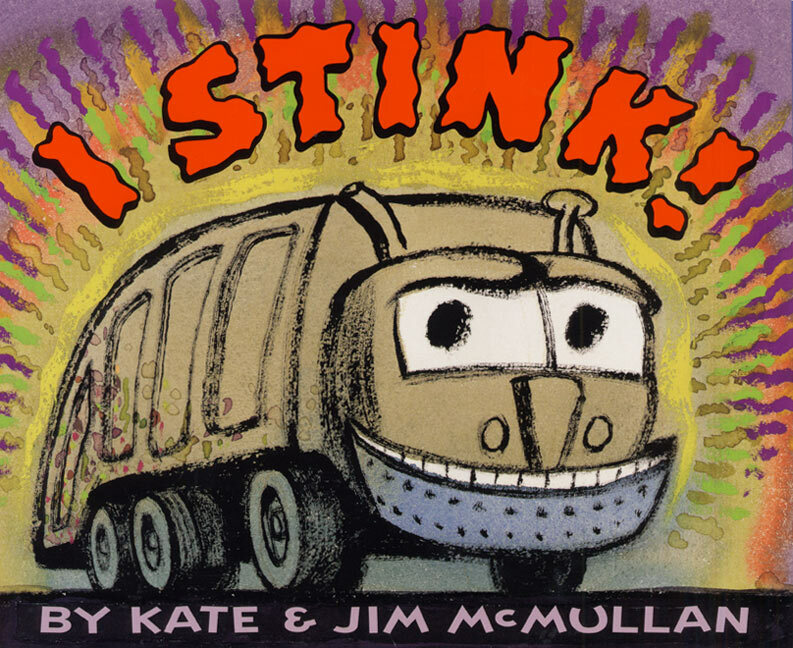 Couple this book with a fun train rhyme and you're golden! There are more sounds on the farm than those of the animals. 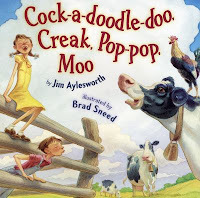 This book does a beautiful job taking the reader on an auditory journey through a day at the farm! Dogs say more than just "WOOF". 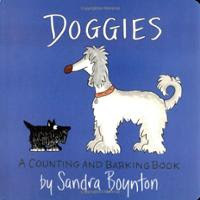 Ten different dogs show off their voices in this perfect counting book! 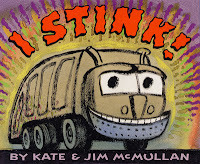 Loads of truck sounds fill this stinky tale of a garbage truck. This books gets bonus points for containing the most epic "BURRRP" ever! 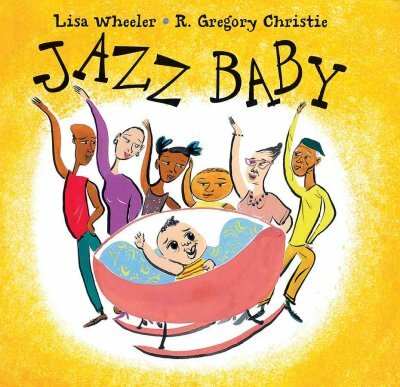 Rhythmic text and cool jazz sounds make for a whole bunch of be-bopping fun! 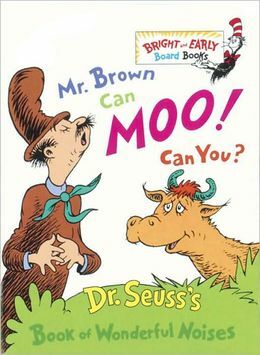 Title: Mr. Brown Can Moo! Can You? 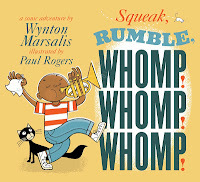 Does it come as any surprise that Dr. Seuss wrote the greatest-ever onomatopoeic book for little kids? Nope. 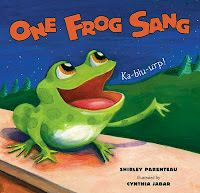 A chorus of frogs liven up the springtime night on a lonely country lane, singing out their many songs! 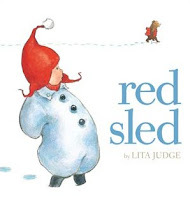 A funny little story about a group of animals and the winter fun they have on a sled, told entirely in sound words! 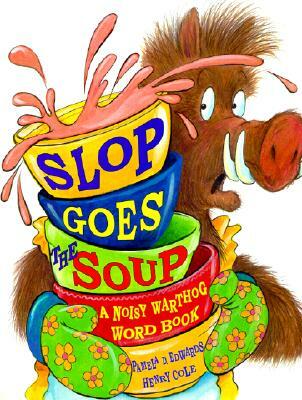 Everything gets hairy and out of control when a warthog accidentally sneezes while holding a container of soup. Tons of slip-sloppy fun! 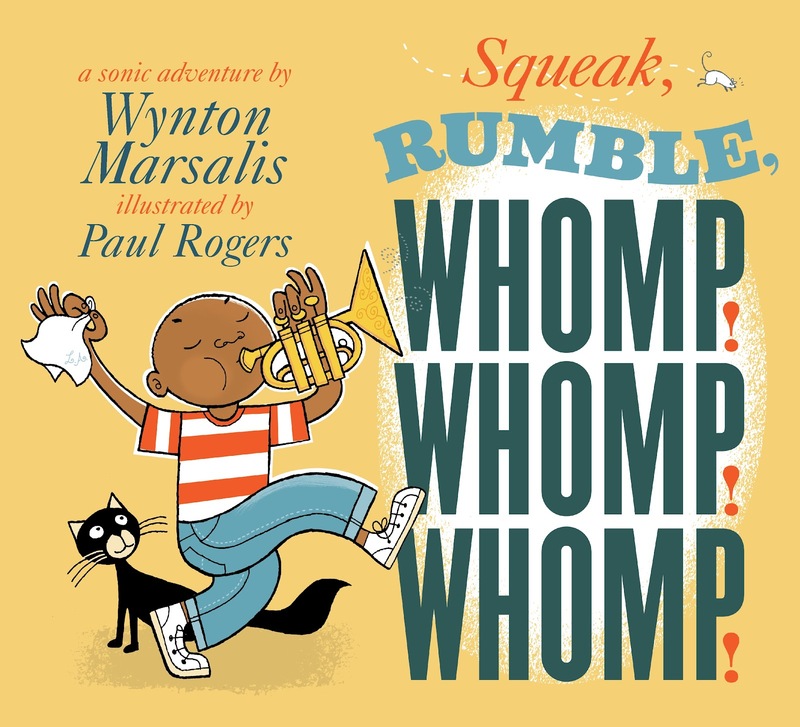 Title: Squeak, Rumble, Whomp! Whomp! Whomp! Probably my favorite read-aloud of 2012. This book is aptly subtitled "A Sonic Adventure". 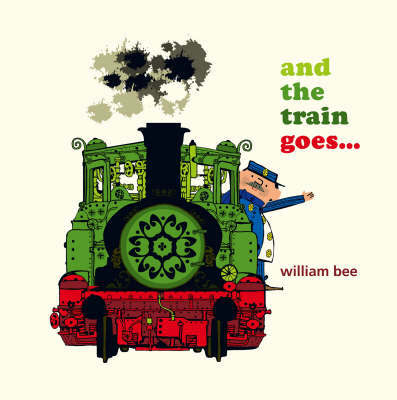 A little boy describes the sounds that surround him in a most-rhythmic and entertaining way. A very cool overview of the sounds vehicles make. 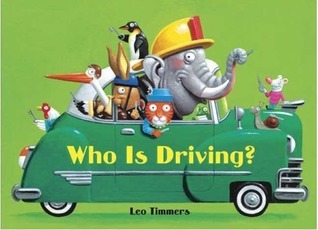 The reader is asked to help guess which animal drives which vehicle, making this book extremely engaging.